Most originators want one of three things. They want to make more money. They want to work fewer hours. And they want to have less stress. Are any of those, things you desire? Not surprisingly, the only way to have any of those is to commit to a high-performance game plan that involves a mandate, Keeping Your Customers for Life! That game plan involves three key success strategies that, when executed well, will typically double or triple an originator’s business in 12-24 months or less. And in our changing times as an industry, it is the best insurance policy you will ever have! These three strategies: acquiring new clients, optimizing the client experience and retaining and cultivating existing clients will take your business to the next level. There is too much opportunity for you not to implement them immediately and begin benefitting from being a high-performance originator. Without borrowers applying for a loan, there is no business. Every mortgage professional must have a prospecting strategy that involves business relationships with agents, builders and executives/business owners who have “tribes” of people they influence and, who at some time in the future, will need a loan. There is nothing more important than this starting point. High-performance origination is about understanding the power of the one-to-one referral. It’s easier for you to call someone who is a direct referral than it is to call someone cold. Effective mortgage pros target the right referral partners, commit to an integrated plan of regular and effective lead-generation conversations with those partners and, over time, build a trustworthy, friendship-based business. In addition, every borrower will know people who at some point in the future will need a loan. This is the most untapped business development sector there is. Consider the opportunity if every client you have in a given year refers you to one more person who also will need a loan, that year! The most important front-end objective for any originator in seeking the next level of success is to manage the client-acquisition strategy so that it produces a constant flow of referrals. Favorable impressions that are not backed by strong performances are worthless. In its recent Oracle Customer Experience Impact Report, Harris Research found that 86 percent of U.S. consumers would pay more for a better service experience and that 89 percent have stopped doing business with a company after experiencing poor customer service. You cannot have Customers for Life unless you blow their mind while they finance real estate. The window for making a strong first impression with the customer is short, a matter of seconds or less, studies show. So that first impression is key to gaining a new customer's confidence. Mortgage professionals who win the business instill that confidence with every step they take in serving their client. They must make sure that the connection with the borrower is super strong; and the absolute strongest is through earned advertising. Essentially, conversion is a function of what other people are saying about you! There are a number of ways to accomplish this trust-building. For example, choreographing the agent's or builder’s handoff of the borrower to the originator pays dividends. The agent can set the mortgage professional up for accelerated trust, which goes miles toward a successful conversion process. The originator could deploy at point of sale a referral strategy to help that buyer bring the originator into their social circles on LinkedIn or Facebook. In short, today’s customer must be positively impacted at every level of their experience, from start to finish. Most people will do business with you once. The key is to make them want to do business with you forever. It takes far more time, energy and money to attract a new customer than it does to take care of one you already have. You can take this to the bank – If you want your customers for life, you must talk with them during their life. 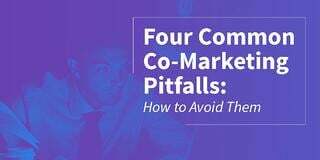 Sadly, most originators fail massively at retaining their clients. Your clients know people who need to know you. Apply the concept to any client you have, and you can see the potential. If your clients love you, they will refer you to others who will also help build your business. Successful businesses S.I.T. (Stay in Touch) on their customers for life, constantly giving them easy ways to do business again and again. This is the single reason why I think Total Expert is a world-class solution. If you truly want to be a high-performance originator that makes more money in less time with less stress, then start implementing these three strategies consistently every day.